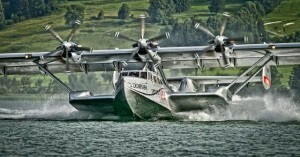 One of Europe’s most unusual air shows, the Scalaria Air Challenge takes place every July on Austria’s Lake Wolfgang. 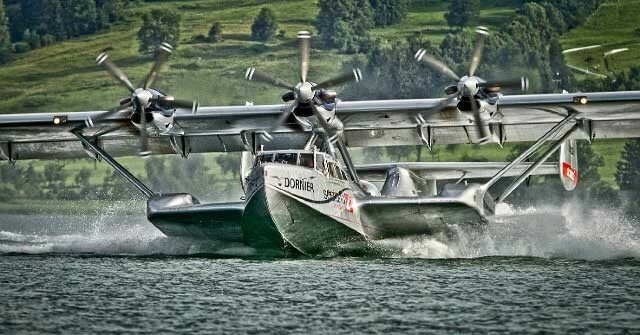 Seaplanes and stunt flying are complemented by aircraft ‘dancing’ to live opera; live bands, fashion shows, DJs and more across several stages. The audio challenges of this unique event are considerable and this year, for the first time, a Yamaha CL5 was given the vital role of master console. "Although the event takes place every year, there is always something new and special," says Thomas Szvetecz, freelance sound engineer and head of the Scalaria sound department for the past four years. "It has everything, including a Flying Opera with the Vienna Symphony Orchestra and, this year, the world premiere of Harold Faltermeyer’s Flying Bulls Anthem, featuring Billy Idol guitarist Steve Stevens. "I always use Yamaha mixing consoles for major events, but this year the channel count was so high it was a great opportunity to use the CL5 for the first time." 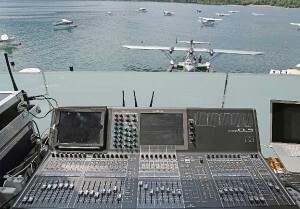 With a number of different performance areas - two indoor theatres, three outdoor stages and the main outdoor arena for viewing the flying displays - as in previous years an Ethersound-based sub-mixing system was deployed. This featured a Yamaha LS9 and three DM1000ES consoles, plus three SM168-ES i/o units. An MY16-ES64 and two MY16-EX Ethersound interfaces were inserted in the CL5, allowing the new console to be seamlessly integrated as a master mixer and distribution hub. The equipment was supplied by Blendwerk Beleuchtungs GmbH from nearby Ebensee, whose head Franz Weilguni says, "We understand the many benefits of Dante, of course, but we wanted to use the CL5 with our existing Ethersound system. Using the Yamaha interface cards, it worked perfectly." The CL5 was set up at the main outside FOH position, at the geographical centre of the resort, where audio from the different stages and radio-transmitted signals from the public area - which is around 400m across the lake - all came together. From there mixes were distributed back to the various locations, as well as to a PA system, set up on the lake shore for the 10,000-strong audience for the main events. "The most difficult part was the handling and distribution of all the signals from so many different areas," says Thomas. "There were several bands and solo musicians, DJs and presenters throughout each day on different stages, so there was a lot of work with pre and post mixes and matrixes. You always had to check the mix you were distributing to each different location and we also ran all the playback for the flying displays and the other outdoor shows." Reliable wireless systems were essential, so Dante-based Shure ULX-D systems were used for all radio microphones, as well as monitoring and talkback for all the aircraft which participated in the Flying Opera. "I really love the interoperability of the Shure ULX-D with the CL series consoles. It´s reassuring to know that the major components of your system, which you really have to rely on, are speaking the same language," says Thomas. "The CL5 is made for such big and complex events. I really appreciate its fantastic structure, its ease of handling many different sends and the custom faders, which allow you to arrange the console however you need it. The sound quality is amazing and the reliability is superb - the console worked for five days in the blazing sun without being shut down once. "This year we were handling a world premiere for a high profile film composer in combination with one of the best guitar players in the world. We really appreciated the stability of the CL5… and we were using it at the most beautiful FOH position in Austria!"